I was travelling recently with a friend and all of a sudden she said “bugger, my phone’s battery is about to die”. The next thing I know she is putting a cable in to this little black box about the same size as her phone. On enquiring what she was doing I was advised she is charging her phone. Upon looking at her with a curious expression she realised I hadn’t seen one of these things before and began to explain what a fabulous thing a Powerbank is. After listening to my friend rabbit on about the wonders of a Powerbank I decided I must have one of these devices myself. So I did some research, bought one and love it. So here are 5 things to consider when buying a Powerbank yourself. 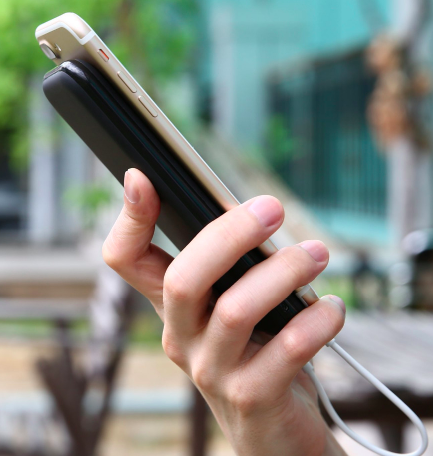 Powerbanks have been designed to be portable so you will find they are about the size of your current phone and will often fit in to your pocket or a handbag. But what really matters is the charging capacity of the Powerbank. What I have learnt is the capacity of the Powerbank is measured in “milli ampere hours” mAH. So the more mAH your Powerbank has the more times you can charge your device/s. Powerbanks range from 2,000mAH to about 30,000mAH. If you are not so technical like me, this basically means, for charge purposes if you have an iPhone 5 it needs about 1,600mAH to charge. But while I was travelling with my friend she allowed me to charge my phone also at the same time so she needed more than 1,600mAH. Luckily she had a Powerbank with 10,000mAH which allowed us to both charge our phones twice each. As I just mentioned my friends Powerbank allowed both of us to charge our phones. This was so handy. Having a Powerbank with 2 USB ports I think is wonderful. And if you are travelling with a phone and an iPad then having multiple ports is a great idea. You can get Powerbanks with more than 2 USB ports and I would think they are for people who travel with a lot more devices than me and my phone. Powerbanks need charging themselves and can be charged using either built-in USBs or cables. Most charge quicker through a cable in a powerpoint but can also be charged through another device. Check how the Powerbank will be charged while you are on the move. Ensure your Powerbank will provide at least one full charge – refer to point 1. The charge time will depend on the Powerbank’s capacity. The more capacity the quicker and more charges you will get. So you need to think about the devices you want to charge and potentially how many charges you might need while doing the activity you have chosen to do, ie. if you are travelling through Europe with no access to power for a few days the more capacity and the more USBs ports the better. Some Powerbanks come with extras such as an inbuilt flashlight/torch and/or LED indicators to indicate the battery level – these are not necessities but do come in handy. I hope this blog helps you to purchase a suitable Powerbank. 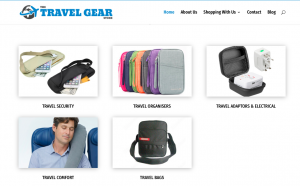 Check out the range on www.thetravelgearstore.com.